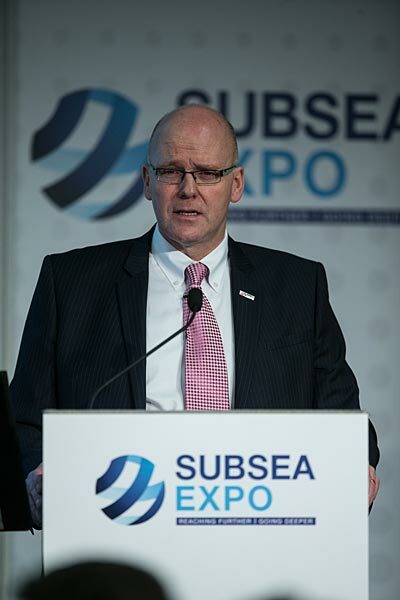 Organiser, Subsea UK, is gearing up to welcome over 5,000 delegates from all over the world to Europe’s largest, annual subsea conference and exhibition. This year’s theme – “Adapting to the New Norm” – will look at the fundamental changes the industry must make to ensure it’s well positioned to maintain its world-leading position. The event’s plenary session, chaired by Gordon, will set the scene for the week and stimulate debate with presentations from a number of high profile industry figures including David Lamont of Proserv, Mark Richardson of Apache, Phil Simons of Subsea 7 and Andrew Reid from Douglas Westwood. “With fewer deepwater projects being sanctioned, there is a trend to replace high cost topside developments with more cost-effective subsea tie-backs, squeezing more out of existing assets and making much better decisions on projects to maximise financial return over the operational life of assets,” continues Gordon. “This appears to be the way our industry is moving and we must adapt to ensure we are in a strong position to embrace and capitalise upon the opportunities that this new norm presents. Those who transform, innovate and forge new alliances will not only survive, but they will open doors to real prospects in the future. The changes we make today are for good and must be embedded into everything we do from here on out,” Gordon adds. As part of Subsea Expo’s “Global Opportunities” programme, the Department of International Trade (DIT) will be hosting one-to-one meetings with in-country experts in a bid to match UK expertise with demand from key oil and gas provinces, including Azerbaijan, Brazil, Mexico, Mozambique, Nigeria, Norway, Tanzania and the US. Innovative UK companies will also be pitching their subsea technologies to a panel of operators and Tier 1 contractors on Wednesday 1st as Subsea UK takes its Subsea Springboard event to Expo for the first time.